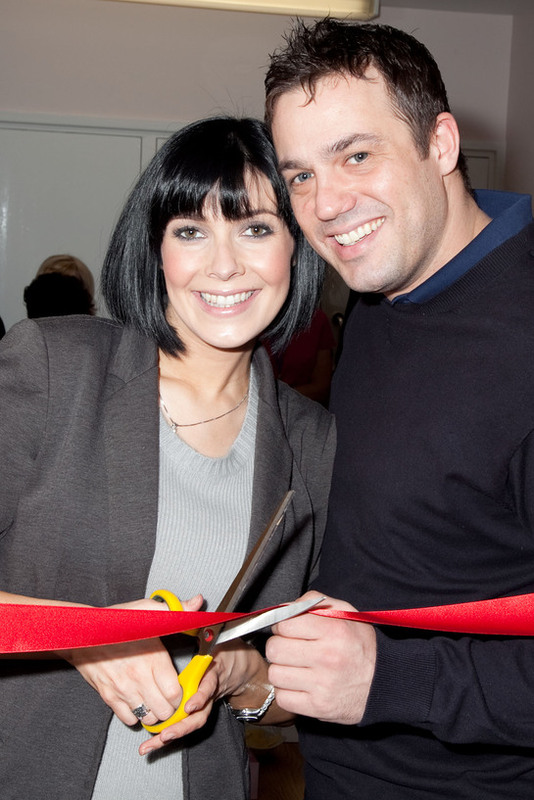 British TV star Kym Marsh (Michelle Connor in Coronation Street) joined her real-life partner Jamie Lomas (Warren Fox on Hollyoaks) to help celebrate the official opening of the Blossom Lounge at North Manchester General Hospital this week. The Lounge will provide breast cancer patients and their families with pleasant and comfortable surroundings in which to discuss treatments and receive counselling support, away from the usual clinical areas. It will also be used to fit patients with their prosthesis following breast cancer surgery. 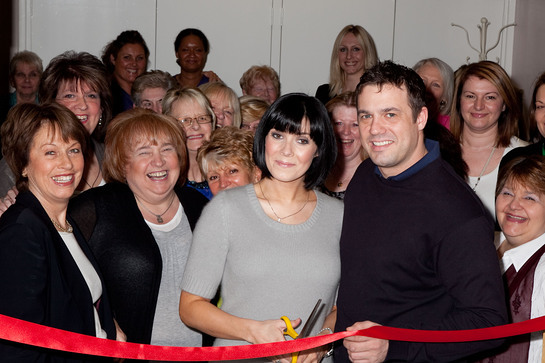 “It’s great to see such a positive facility opening up for breast cancer patients here. I’m sure it will make a big difference to the quality of future care,” said Kym. “We’re delighted to be supporting such a worthwhile cause,” added Jamie. The Lounge has been funded by the Blossom Appeal, an independent charity dedicated to enhancing the breast care unit at the hospital. The Blossom Appeal has raised over £200,000 since it began fundraising in 2000. For further information, click [here.